You have to be long off the box, you have to be able to move the ball right to left (known as a draw for right handers), you have to have a masterful short game and imagination, and you have to be dialed in with your flat stick, and finally you have to have Master's Experience at Augusta National to contend in the 2018 Masters Tournament. A tradition like no other in golf continues this Thursday in the years first Major. 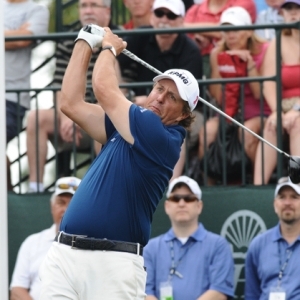 Here I will offer some US Masters betting tips with my value picks to wear the Green Jacket. Click here for more information on my member's plays in all sports . Golf is a game of inches, it is a game of mental skill and deft touch, and a game that all things need to break your way to win a PGA Tour event in this day and age. There is no longer a dominant force winning 14 majors (Tiger Woods) and everyone is an also ran these days. There is youth and talent galore on tour these days, as well as gritty old veterans who have played this course for 15+ years that also have an advantage (remember Jack won this tourney in his mid-forties). TIGER FEVER - Despite Tiger Woods being back on tour and a couple of Top 5 finishes the Tiger fever is high, but he is in no way a force to be reckoned with inside the ropes of a Major yet, despite his past success at Augusta. The rest of the field is too good, too young, and too far ahead of him right now in terms of being ready for a 4-day grueling major championship on the PGA Tour. If you want to bet me 20 dimes and you want Tiger (+1400 odds) and I get the field against him, please reach out to me! #1 World Ranked Dustin Johnson - no player in a decade ranked #1 has won the Masters. Sergio Garcia - The last player to win back to back was Tiger Woods in 2001-2002. Ricky Fowler - simply cannot close a tourney out, especially in big spots. Every winner in the last 11 years had played Augusta at least once before. Here is my list of 4 solid bets to win it all and also a couple of longshots just for fun. I suggest 1 unit each on the 4 Top Picks and a Half unit on the longshots. You can never count this kid out at a Major. Played well in Austin in the match plays for the most part, he surged last week in Houston on the final day and made a huge run, and it seems his putter is either hot or not right now, there is no grey area with him on the flat stick. If he gets his putter going he will be on the first page of the leaderboard on Sunday. He is a past champion and has all the skills and shots necessary to compete here. He is also 10th on the Tour in greens in regulation, so again if he can putt this week he will be in the thick of it. You cannot ignore his prowess on a golf course and he always brings focus and determination to the Majors and again, he knows what it takes to wear a green jacket, because he has one. He won at Bay Hill, Arnie's Tourney a few weeks back and is still one of the most talented PGA players around, he has just had a rough few years off and on the course but I think he is a sleeping giant. He is huge off the tee box (5th on Tour in driving distance), he can be deadly accurate with his irons, it is his putting that is the big question mark. In a very talented field at Bay Hill he put it all together and putted well down the stretch. There is no doubt there are many holes Rory has an 8 iron in his hand while everyone else has a 6 iron, and length is a huge advantage here. I do not bet on players or teams just because they are "due", but I can tell you this kid is ready to emerge from the shadows again and this is the type of course he can bomb it around on and post good scores. If Rory wins this tourney he completes the career grand slam in golf, winning all four majors. Good Ol Lefty is in top form, and for the older contingent of us hackers out there, he is always one we root for, those of us past 40 anyway. Despite his age, Phil just won a World Golf Championship out dueling young stud Justin Thomas in Mexico City in a playoff. That tourney had a world class field and Phil bested them all. Experience and past wins here should not be overlooked and we all know Phil loves Augusta and he is one of the best on Tour at scrambling around this place and putting up scores. The short game is not in doubt, and if Phil can somehow tame down his driver and be more accurate, he can manufacture shots around these green's and be a contender come Sunday afternoon and may provide a roar or two from the patrons on Amen Corner. Never count Lefty out at Augusta if he makes the cut because he knows every hole and every shot you have to make from every position on this course. Phil is also ranked 2nd on the PGA Tour this year with Top 10 finishes at 5, has the WGC win as stated, and ranked 3rd in Fed Ex Cup points. Did I mention Lefty was 2nd on Tour this year in putting? Always a force in the Majors and a Major Champion himself, Justin Rose finished second last year in a playoff with Sergio and has all the skills necessary to win at Augusta and in any Major tourney. As a matter of fact, Justin has finished 2nd in the Masters in 2 out of the last 3 years. He has hit 72% of the greens at Augusta in 6 out of his last 7 years and has played well this year. He is long, can move the ball around, and is very poised in the limelight. He loves the big stage and comes in here with a good resume in 2018 to date. I would be shocked not to see him play well this year and not to be in the narrative come Sunday. Hard to go back to back at Augusta but 30/1 is an insult to Mr. Garcia who won it all last year. He leads the PGA Tour in scoring at 68.7, and is ranked #1 on the PGA Tour in Tee to Green. That is nothing to sneeze at gents. He has all the tools to win here and it was on display last year and despite his lack of admiration for Augusta, as it does not suit his game as he likes to fade the ball, he bested everyone in 2017, and has been playing steady golf in 2018. You cannot ignore a player in a Major on the PGA Tour when he leads the Tour in scoring and he is the best to date at Tee to Green! This guy is a real sleeper. We all know him from Ryder Cup fame, but he is a true grinder, with plenty of shots in his bag, and he is not intimidated by anyone or anything. He has 3 Top 10 finishes this year and a 2 nd place finish this year. This is a strong sleeper and it would not surprise me to see him hanging around on Sunday, and if he can get his putter going, he can be dangerous. The tougher the spot, the better he plays, he thrives on it. Get $60 worth of Tony George’s premium member picks here Tony also puts out a free pick each day on Doc’s YouTube channel here.